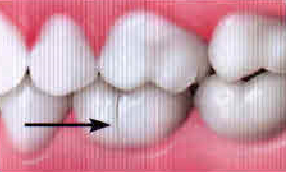 Treatment for a cracked tooth depends on the size and location of the crack and the symptoms you are experiencing. Your dentist will talk with you about which treatment is best for your tooth. It is possible that your dentist will recommend no treatment at all, since tiny cracks are common and usually do not cause problems.If you have pain, avoid chewing on that side of your mouth and call your dentist. Regular dental checkups are important. They let your dentist diagnose and treat problems in the early stage. A cracked tooth can become a bigger problem if left untreated. if you think you may have a cracked tooth, visit your dentist. You have pain that comes and goes, but does not hurt all the time. A cracked tooth may hurt because the pressure of biting causes the crack to open. When you stop biting, the pressure is released and the pain goes away. 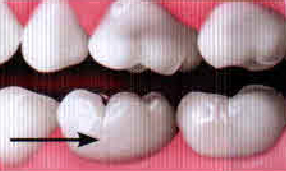 Even though the crack may be too small to see, when it opens, the pulp inside the tooth may become irritated. the pulp is a soft tissue that contains the tooth’s nerves and blood vessels. If the crack irritates the pulp, the tooth may become sensitive to extreme heat and cold. The pulp can also become damaged or diseased as a result of the crack. In that case, endodontic (root canal) treatment may be necessary to save the tooth. In addition to their chameleon-like quality of disappearing in the Mouth, these restorations have become stronger than ever, With product research and development and state-of-the-art cementation and bonding techniques, modern all -ceramic systems rival traditional restorations for their use in anterior bridgework, Ask your dentist if all-ceramics can be used for your treatment plan to provide you with the most natural looking smile available today.